A major focus of the book is the Palaearctic biogeographic realm that extends over some 45 million km² and thus more than 1/3 of the terrestrial ice-free surface on Earth. It comprises extensive grasslands of different types and origin, which can be subdivided into (1) natural grasslands with (1a) steppes (climatogenic in dry climates), (1b) arctic-alpine grasslands (climatogenic in cold climates) and (1c) azonal and extrazonal grasslands (pedogenic and topogenic) as well as (2) secondary grasslands created and sustained by human activities, such as livestock grazing, mowing or burning. 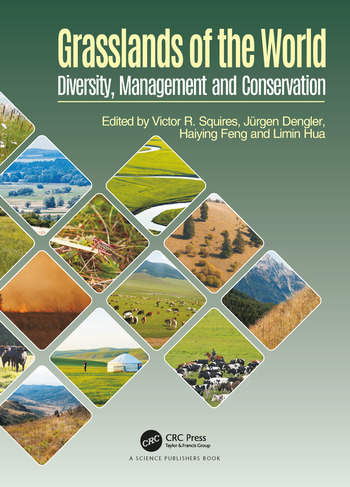 Grasslands of the Palaearctic do not only form a major basis for the agriculture of the region and thus its food supply, but are also crucial for other ecosystem services and host a supra proportional part of the realm’s plant and animal diversity. To reflect that suitability of grasslands for biodiversity strongly depends on their state, we apply the term High Nature Value grassland to those natural grasslands that are not degraded (in good state) and those secondary grasslands that are not intensified (semi-natural). 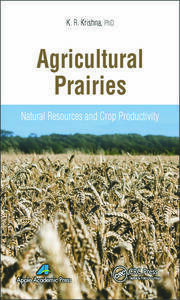 The concluding chapter examines a set of themes arising from the chapters that make up the bulk of this book. 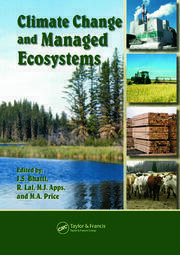 The following provide a focus: recent history of grassland biomes – brief recap of current thinking and recent trends with special reference to dry grasslands in the Palearctic regions; the current status of grasslands and germplasm resources (biodiversity) – an overview; management systems that ensure sustainability; how to recover degraded grasslands; socio-economic issues and considerations in grassland management; the impacts of environmental problems in grasslands such as future climate change and intensification and the problems/prospects facing pastoralists and other grassland-based livestock producers. 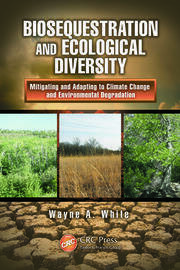 Dr. Victor Squires is an Australian who as young man studied botany and rangeland ecology. He has a PhD in Rangeland Science from Utah State University, USA and is former Dean of the Faculty of Natural Resource Management at the University of Adelaide, Australia where he worked for 15 years after a 22 year career in Australia’s CSIRO. Since retirement from the University of Adelaide, Dr. Squires was a Visiting Fellow in the East West Center, Hawaii and is currently an Adjunct Professor in the University of Arizona, Tucson and at the Gansu Agricultural University, Lanzhou, China. He has been a consultant to World Bank, Asian Development, and various UN agencies in Africa, China, Central Asia, and the Middle East. He is author of over 130 papers in refereed journals and numerous invited chapters and is author/editor of 11 books. Dr. Squires was awarded both the 2008 International Award and Gold Medal for International Science and Technology Cooperation and the Friendship Award in 2011 by the government of China; the Gold Medal is the highest award for foreigners. In 2015, Dr. Squires was honored by the Society for Range Management (USA) with an Outstanding Achievement Award.